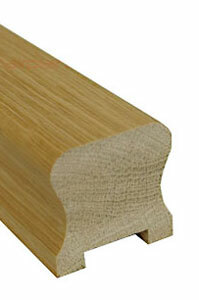 Stairplan offer the widest selection of Oak Handrails available | We offer Bespoke Profiled Oak Handrails as well as our own traditionaly crafted oak handrails we offer all the oak handrail options from the 4 largest UK stair balustrading manufacturers. 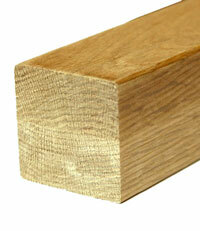 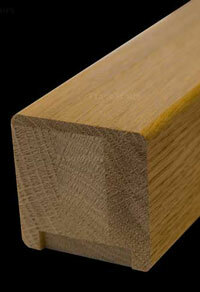 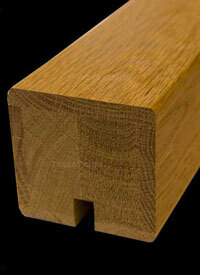 The Newark oak handrail has a contemorary square profile available with a 41mm groove. 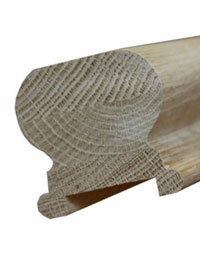 A full selection of lengths available. 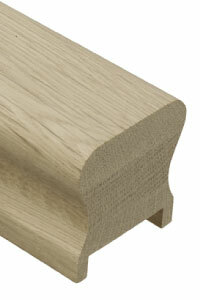 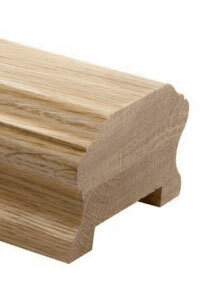 The Heritage handrail comes in american white oak and is suitable for 55mm stair spindles. 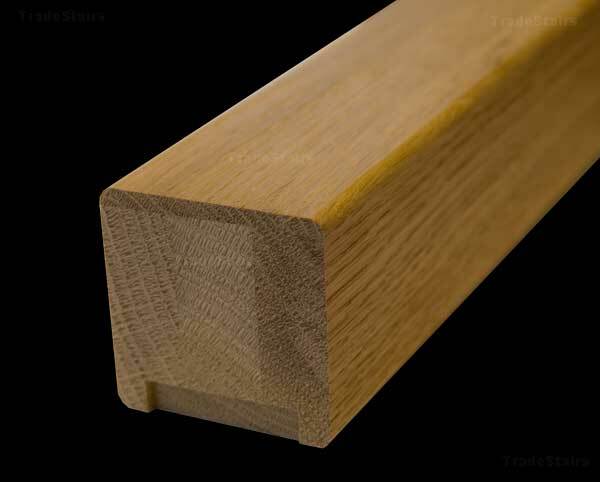 The Oak HDR handrail is a Richard Burbidge handrail section this is still popular available with 32mm and 41mm Groove Sizes. 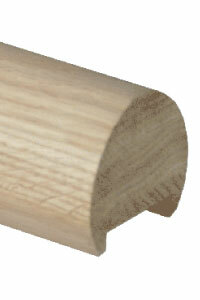 Other names include Pigs Ear Handrail and Sows Ear Handrails. 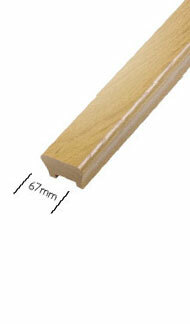 The Handrail above is from the Designer collection of stairparts this is available in White Oak and has a 46mm groove size.. 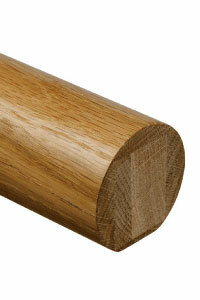 The RHR Round handrail section is available in a number of timbers and has many accessories available for it. 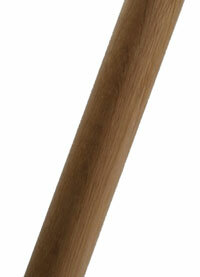 The diameter is 54mm.. 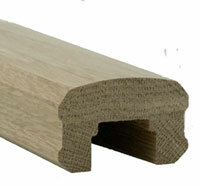 The Slender handrail Profile is available in Pine and American White Oak 41mm groove size only. 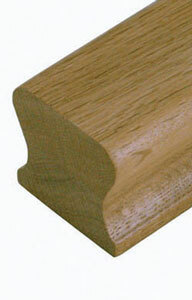 The Axxys Oak round handrail section has a unique profile to work with the Axxys range of Stair components. 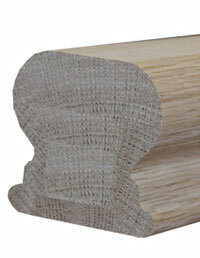 The SHR handrail section shown here ungrooved - The SHR handrail section is slightly heavier than the typical HDR and STHR profiles and has a very comfortable grip. 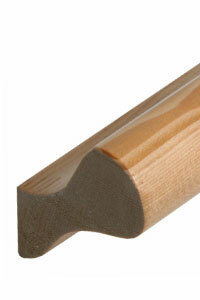 The SHR handrail section shown here with a 41mm groov - The SHR handrail section is slightly heavier than the typical HDR and STHR profiles and has a very comfortable grip. 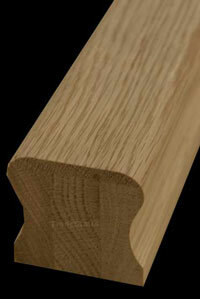 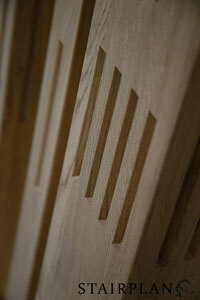 The Oak SQGHR (Square) handrail profile Grooved for Vision Glass Balustrade Panels. 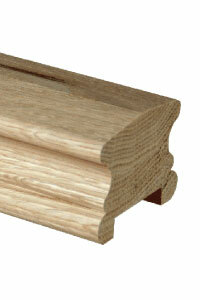 The HR handrail section from Cheshire mouldings - there is a range of handrail fittings available with this profile in the way of Volutes etc. 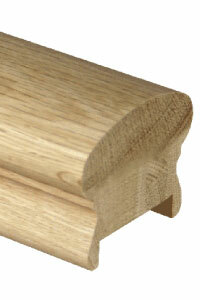 Newark oak Handrail - Contemporary oak square style a popular choice.